Summer Boredom hit the kids yet? 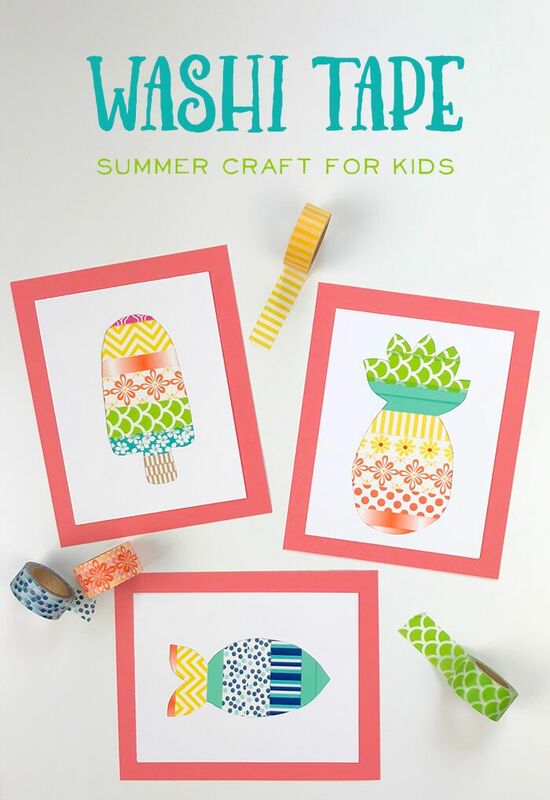 Looking for some fun Summer Crafts for kids? 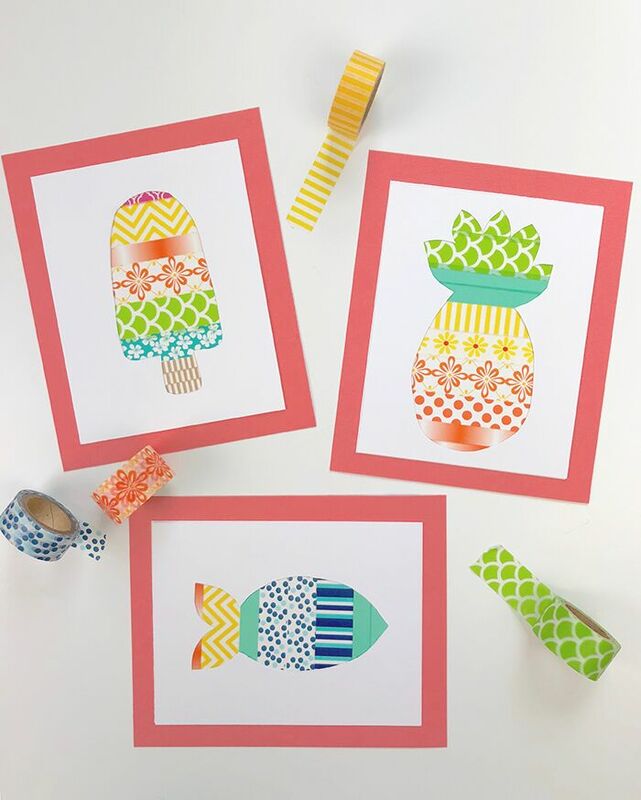 Check out this adorable Washi Tape Craft for Kids! So easy…its the perfect kids craft! Hey there! 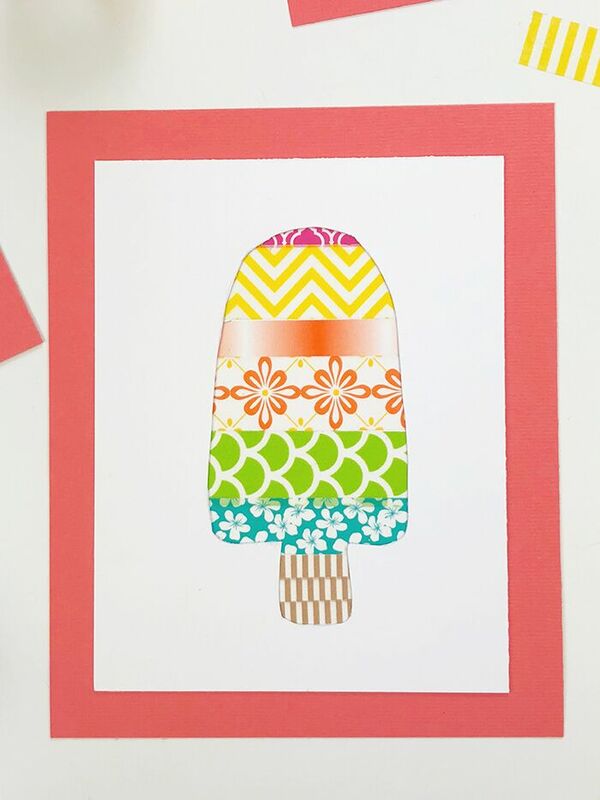 I’m Jen, the gal behind the brand Jen T by Design, and if you love finding new Summer Crafts for Kids, you are doing to love what I have to share with you today! If you’re a mama trying to keep your kiddos entertained while school is out for the summer, then I’m guessing you might be hearing some “I’m bored” cries from those littles of yours. Why is that no matter how many things those kids could be doing, they’re still bored?!! I feel your pain, y’all, and I think I’ve come up with something that’ll bust that boredom…at least for a little while. This fun washi tape craft is super duper easy, incredibly affordable, and has so many possibilities to keep the kids busy that you might even get 30 minutes of peace and quiet to yourself while they create! Maybe. Washi tape in multiple colors/patterns (Tip: Use those Michaels coupons! I scored this washi tape for 33 cents a roll, which is a total steal, and if you use a 20% off your purchase coupon on top of it…awesome)! 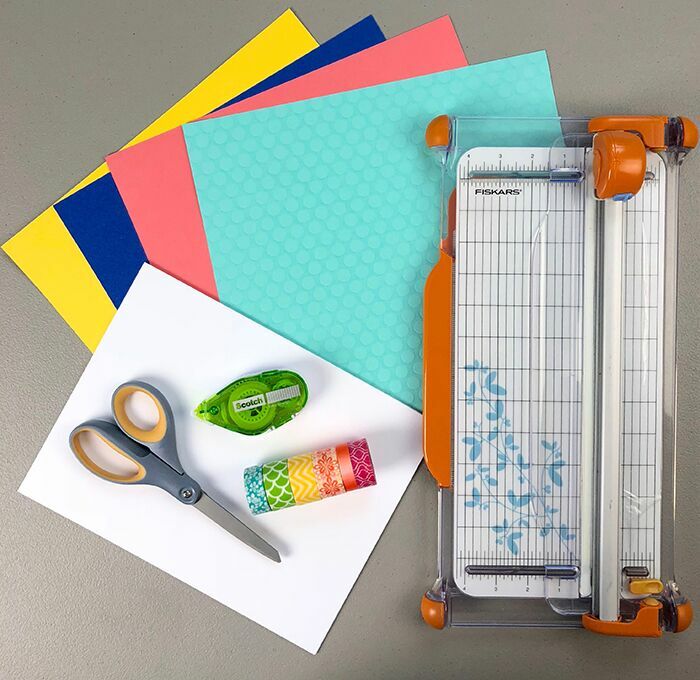 Use the paper trimmer to cut the paper. I cut the white paper into fourths, so I ended up with four 4.25 x 5.5 pieces, but you can totally use any size you’d like! Cut the colored/patterned paper to an inch larger than the white paper (in our case the pieces were cut to 5.25 x 6.5). Each project will use two cut pieces of white paper and one cut piece of colored/patterned paper. Have the kids draw an outline of a shape…any shape they can imagine. The possibilities are endless, but summer shapes are fun for now! Cut the shape out using scissors. 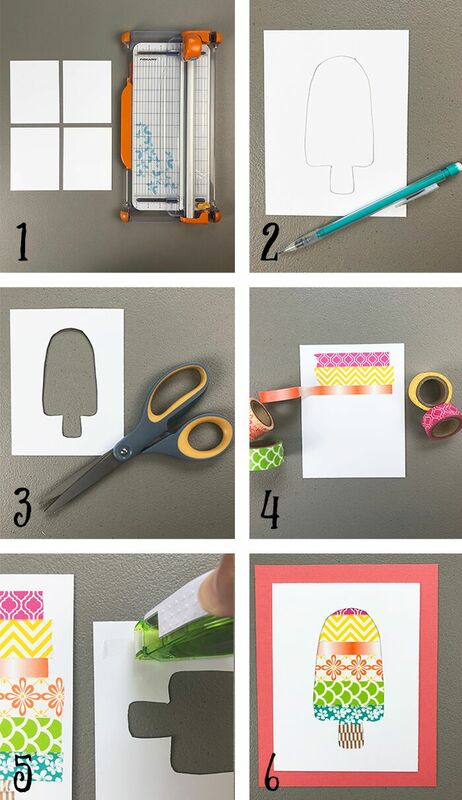 Apply strips of washi tape to a second piece of paper. Apply adhesive to the cutout piece of paper, then adhere on top of the washi tape paper. Apply adhesive to the back of the artwork, then center on the colored/patterned paper. That’s all there is to it! So fun, soooo easy, and hopefully will keep the kids busy for a while! What I love most about this project is that the kids can use their imaginations to create anything they want! This craft is perfect for creating artwork for their room, for giving as gifts, or for creating cards with. The possibilities are literally endless just by changing the shapes, tapes, colors, etc. They could even swap the shapes out for text and spell out their name or a phrase that they like. So neat! This craft can easily by modified for younger kiddos that don’t have cutting skills yet, too. You can simply cut the shapes out for them and provide them with the tape. Huge thanks to Amy for letting me play along in her Summer Series, and I’d love to see you again. Come pay me a visit over at Jen T by Design! Thank you so much for your post.This was really useful for me to train and teach my children’s.i do personally love crafts and my children started showing interest in crafts, so these were easy diy, which my kids could do themselves. Chealsea- So happy you found this post helpful. Thanks for following along. Malisha- Happy Birthday. I hope your son has a very special day. Glad you found this post helpful!